Rafael Soriano...is well versed in the culinary arts with a special emphasis on Dominican cuisine...was signed by the Mariners in 1996 as an outfielder. Posted a 3.0/1 strikeout-to-walk ratio and saved 43 games to rank 2nd in the NL in first season with the Nationals...with those 43 saves, recorded the 3rd 40-save campaign in the Nationals' 9-year history (Cordero 47 in '05, Storen 43 in '11)...capped the season by successfully converting final 12 save opportunities...19 of 43 saves came in one-run games...ERA in games resulting in a save was 1.47...ERA in blown saves: 16.50...ERA in non-save situations: 2.55...registered a batting average against of .208 (11-for-53) with RISP...earned first save as a member of the Nationals on April 1 vs. MIA (W2-0)...pitched in 500th career game on Aug. 3 at MIL. Went 2-1 with 42 saves and a 2.29 ERA in 69 games in final season with the Yankees...spent the majority of '12 as the Yankees' closer after Mariano Soriano's season ended prematurely in early May (ACL injury in right knee)...thus, according to the Elias Sports Bureau, became the first pitcher in MLB annals to register a 40-save campaign despite not notching an initial save until May 10 or later...the 42 saves tied for 3rd in MLB behind only Jim Johnson (51) and Fernando Rodney (48)...5 saves in excess of 1.0 inning tied for the MLB lead with STL's Jason Motte and LAA's Ernesto Frieri...successfully converted 22 of 23 save opportunities on the road...struck out 9.2 batters per 9.0 innings, successfully stranded 16 of 19 inherited baserunners and posted a .217 batting average against for the AL East Champs in '12...for first time in career, secured saves in both ends of a doubleheader, Sept. 19 vs. OAK. Was 2-3 with two saves and a 4.12 ERA (39.1IP, 18ER) in 42 relief appearances in his first season with the Yankees...opponents batted .229 (33-for-144, 4HR); LH .302 (19-for-63, 2HR), RH .173 (14-for-81, 2HR)...retired31-of-42 first batters faced (73.8%)...prevented six-of-eight inherited runners from scoring (75.0%)...appeared in consecutive games seven times, three straight games once and four straight games twice (4/16-20 and 9/13-17)...the Yankees were 28-14 in games he appeared in...Tossed exactly 1.0 inning in 35 of his 42 relief outings (83.3%)...held opponents scoreless in 33 of his appearances (78.6%)...Made his seventh career Opening Day roster and first with the Yankees...tossed a perfect eighth (1.0IP, 1K) in his Yankees debut in 3/31 Opening Day win vs. Detroit...Tied his career high in runs allowed in a game as a reliever in 4/5 loss vs. Minnesota (third time), allowing 1H and 4ER in 0.2IP (3BB, 1K)...the 3BB allowed tied a career high and were his most ever in a relief appearance (allowed 3BB twice as a starter in 2002)...Earned his first win as a Yankee on 4/17 vs. Texas, tossing a scoreless eighth inning (1.0IP, 1H, 1K)...Earned his first save as a Yankee in 4/20 win at Toronto, recording the final two outs of the game (0.2IP, 1BB)...was his fourth appearance in as many games...Allowed a go-ahead, two-run HR to Paul Konerko in the eighth on 4/26 vs. Chicago-AL, recording his first blown save and loss of the season (1.0IP, 2H, 2ER, 1BB, 1K, 1HP, 1HR)...was his first blown save in a home game since 7/22/07 w/ Atlanta vs. St. Louis, snapping a stretch of 38 consecutive home save chances converted...Underwent a precautionary MRI on 5/11, revealing mild right elbow infl ammation and was placed on the 15-day disabled list from 5/17 (retroactive to 5/14)-7/29 (missed 63 team games)...was transferred to the 60-day D.L. on 6/15...In four combined rehab outings from 7/19-25 (two games with Single-A Tampa and two games with Triple-A Scranton/Wilkes-Barre), allowed 5H and 4ER in 4.1IP (0BB, 3K, 2HR)...Following his D.L. stint, went 1-2 with one save and a 3.33 ERA (24.1IP, 9ER)...allowed 18H and 7BB with 26K while working mostly in the seventh inning...Did not allow a run over an eight-appearance stretch from 9/11-25, allowing just 5H in 8.0IP (0BB, 12K)...struck out seven consecutive batters from 9/14-17...Allowed his only home run on the road in 2011 in the seventh inning on 9/27 at Tampa Bay (three-run HR by Matt Joyce) to suff er his third loss and third blown save (1.0IP, 1H, 3ER, 2BB, 1K)...Made three postseason relief appearances, going 0-1 with a 1.93 ERA (4.2IP, 1ER)...allowed seventh-inning game-winning home run to Delmon Young on 10/3 at Detroit in ALDS Game 3. Went 3-2 with an American League-leading 45 saves (in 48 opportunities) and a 1.73 ERA in 64 relief appearances in his lone season with the Rays, setting a club record and a career high in saves...struck out 57 batters in 62.1IP with only 14BB...appeared in consecutive games 11 times, three straight three times and a season-high fourin-a-row three times (4/30-5/4, 7/3-6 and 9/12-15)...Held opponents to a .163 (36-for-221, 4HR) batting average; RH (.196, 21-for-107,2HR), LH .132 (15-for-114, 2HR)...marked the lowest batting average against RHH inthe Majors (min. 100 BF)..first batters hit just .115 (7-for-61) against him...Became only the fourth pitcher in Major League history to reach his totals for saves,ERA and opponents average in a single season, joining Oakland's Dennis Eckersleyin 1990, Los Angeles-NL's Eric Gagne in 2003 and Florida's Armando Benitez in 2004...Converted 45-of-48 save opportunities (93.8%), leading the AL and ranking secondin the Majors behind San Diego's Heath Bell (94.0%, 47-for-50)...ranked third in theMajors in saves behind San Francisco's Brian Wilson (48) and Bell (47)...among ALrelievers, ranked second in opponents average and third in ERA...Earned his first career All-Star appearance, replacing the injured Mariano Riveraon the AL roster...threw a perfect eighth inning on only eight pitches, retiring SanDiego's Adrian Gonzalez, and Cincinnati's Joey Votto and Scott Rolen on three flyballs...named to the Sporting News AL All-Star team as the league's top reliever, andwon the 2010 Rolaids Relief Man of the Year Award in the AL...Named "DHL Delivery Man of the Month" for May, July andAugust...since the award was founded in 2005, no pitcher hadwon it twice in the same season...also received considerationfor the AL Cy Young Award, placing eighth in the voting-thehighest finish by a reliever in 2010 AL balloting...Converted each of his first 16 save chances to begin theseason, suffering his first blown save in 6/19 win vs. Floridain his only appearance of the season in which he entered thegame prior to the ninth inning...Held opponents scoreless in 19 of his nal 22 appearances ofthe season beginning 8/1, converting 16-of-17 save chancesand holding opponents to a .125 batting average (9-for-72)...Struck out the side on nine pitches in 8/23 win at LosAngeles-AL, the only pitcher to do so in 2010 and the first toaccomplish the feat while recording a save since Chicago-NL's LaTroy Hawkins on 9/11/04 vs. Florida...Recorded his 40th save in 9/1 win vs. Toronto, joining theAngels' Francisco Rodriguez (62 saves) in 2008 as the onlyAL pitchers to collect at least 40 saves by September 1...Appeared in three Division Series games with the Rays,allowing 3ER in 3.0IP and converting his only save chance. Eight-year veteran led the Braves with a career-high 27 saves (in 31 opportunities) andestablished career bests in innings pitched(75.2), appearances (77; 10th in majors) andstrikeouts (102) while issuing only 27 walks...Among all major league relief pitchers in 2009,he ranked tied for 2nd in strikeouts (behindLAD Jonathan Broxton) and 3rd with 12.13SO/9 IP...his 27 saves tied for 10th in the NL...Led all major league relievers with a .138 (20-for-145) opp avg. vs. right-handed hitters...lefties hit .258 (33-for-128) off him...his .153(17-for-111) opp avg. with runners on baseranked 4th in the majors (min. 100 AB)...Overall held opponents to a .194 (53-for-273)batting avg. (12th lowest in the NL) and .153(17-for-111) avg. with runners on base (4th lowestin the majors)...Allowed only 1 HR in his first 45 appearances...On Sep 19 vs. PHI, allowed 4 ER on 5 H, bothcareer highs in relief...Compiled a 1-1 record and 1.48 ERA prior tothe All-Star break...went 0-5 with a 4.91 ERAin the second half. Appeared in 14 games, compiling three saves in four chances, due to right elbow injuries...Was placed on the disabled list (right elbow inflammation) from 8/3 to the end of the season; underwent successful ulnar nerve transposition surgery and had a bone spur removed from the right elbowby Dr. James Andrews in Birmingham, Ala., on 8/28/08....Ranks tied for third among active pitchers, holding RH batters to just a .175 average (min. 550 BF) in hiscareer....Picked up his first loss since 8/8/07 at NYM by allowing an unearned run on a hit and walk on 7/29 vs. STL....Activated 7/21 from DL (went on 6/6 with right elbow inflammation). Had a rehab assignment with DSLBraves (2 G, 2.0 IP, 3 H, 2 K) from 7/15-17...Missed 37 games....Earned back-to-back saves in consecutive outings on 6/3-5 vs. FLA. It was the first consecutive savessince amassing three in a row in May 2007....Suffered his only blown save in the 9th inning on 5/31 at CIN....Made his first appearance since 4/6 on 5/29 at MIL (1.0 IP, 1 BB, 1 SO). Was Activated from the DL on5/28 after missing 45 team games with right elbow tendinitis....Earned first save of the season on 4/6 vs. NYM, but was placed on the DL on 4/7. In his first season with the Braves and in the NL, Soriano finished second on the team with nine saves and third with 71 appearances, both career-highs. Also set a career-high with 72.0 IP, 12 HR allowed and 70 strikeouts and matched his career-best three wins. Opponents hit .181, good for 5th among qualifying NL relievers (.159 in April, .054 in May, .268 in June,.277 in July, .213 in Aug., .093, in Sept). His .232 opponents' on-base percentage was second to LAD's T. Saito (.209) in the NL among qualifyingrelievers and his 8.00 baserunners per nine innings is second to Saito's 6.85. Did much better on the road, going 2-for-2 in save opportunities with a 1.91 ERA and held hitters to a .155avg. At home, he was 7-for-10 in save opportunities with a 4.19 ERA and .208 opponents' avg. He had a 1.35 ERA during the day (3 ER/20.0 IP) and 3.63 ERA at night (21 ER/52.0 IP). Left-handed hitters managed just a .164 avg. (20-for-122) with 6 HR and right-handed hitters hit .197(27-for-137) with 6 HR. After 8/14 (17 games) he was 1-0, 4-for-4 in save opps. witha 0.47 ERA (19.1 IP/1 ER) and .121opponents' avg. while walking just three and fanning 24. He retired 57-of-71 first batters and allowed just two of his12 inherited runners to score. 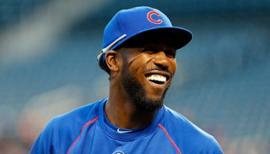 Served a two-game suspension from 9/28-29 for his actionson 9/17 vs. MIL. Went a season-high 2.0 IP three times (7/27 at ARI, 8/23 atCIN and 9/14 at WSH). Pitched 12 straight scoreless outings (14.1 IP), allowing sixhits, three walks and recording 16 Ks prior to allowing ahome run on 9/19 vs. FLA. Had an 18 game stretch from 6/20-8/2 when he went 0-2, with a 6.75 ERA (17.1 IP/13 ER), went 0-for-3in save opps. and six HR allowed. In the other 52 games, he is 3-1 with a 1.84 ERA (53.2 IP/11 ER),9-for-9 in save opps. and 6 HR allowed. In the 29 games prior to 6/15, he was 1-0 with a 2.20 ERA, 2 HRs allowed and an opp. avg. of .115. He had five games that he allowed more than one run, in which he had a 24.00 ERA (16 ER/6.0 IP). Inthe other 66 games, he had an ERA of 1.09 (8 ER/66.0 IP). His ERA by month: April 4.38, May 0.77, June 4.22, July 4.38, August 3.75 and September 0.69. Blown saves: 7/14 vs. PIT, 7/18 vs. CIN and 7/22 vs. STL. Second loss came 7/20 vs. STL, when heallowed a pair of runs in the 8th. Charged w/ first loss 7/1 at FLA, allowing a run on two hits and making a throwing error in the 10th inning. Picked up the win 6/15 at CLE despite allowing his second home run on the year and first multi-hit gameallowed since 4/20 at NYM, a string of 21 games since the last multi-hit game and HR. Got first hold as a Brave with a scoreless eighth inning on 4/7 vs. NYM (1 K). Won his first National League game on 4/8 vs. NYM by stranding two runners in the eighth inning. Earned first save with Atlanta on 4/5 at PHI with a scoreless 0.1 IP. Made his Braves debut on 4/2 at PHI, working a scoreless eighth inning. After missing most of the 2004 and 2005 seasons, posted career highs in appearances (53), saves (2), and innings (60.0) despite not pitching the final month of the season due to a concussion...Was 1-2 with a 2.25 ERA (15 ER/60.0 IP)...Was hit on the right side of the head by a line drive off the bat of the Angels' Vladimir Guerrero in the eighth inning 8/29 at Safeco Field...Team Medical Director Dr. Edward Khalfayan said the ball hit behind the right ear and that the relievernever lost consciousness...Was transported to Harborview Medical Center for further tests. Washospitalized overnight and released the next day...Notched an 0.69 ERA (1 ER/13.0 IP) in first 11 games, including no runs (8.0 IP) allowed from 4/14-26...Stranded first 10 runners inherited before grand slam 5/3 at CWS in the seventh (Joe Crede), first blown save of '06...Retired all four batters faced 5/9 vs. TB for first save since 2003...Loss 5/5 was his first since 5/9/04at OAK...Suffered blown save 5/19 vs. SD, but picked up fi rst win since 8/29/03 at BAL...Allowed grand slam in eighth inning to tie game at 8-8 on 6/7 vs. MIN, allowing three inherited runners to score; that homer was the only run he allowed in 15 appearances (17.1 IP) from 5/23 until 6/28 (0.52 ERA)...allowed no runs from 5/23-6/5 (six games, 5.2 IP)...Had an 0.66 ERA in June (11 games, 13.2 IP, 1 ER)...Worked 10.0 scoreless innings (8 games) 6/9-28...Touched for three runs on three hits in 1.0 inning on 7/4 vs. LAA, those were only runs allowed from 6/9-8/9 (18 games, 1.23 ERA, 3 ER/22.0 IP)...Allowed three runs over his final 16.1 innings pitched from 7/8-8/29...Did not allow a run from 7/8-8/9 (11.0 IP, 9 games)...Was placed on the the 15-day disabled list on 7/29 (retroactive to 7/20) with right shoulder fatigue...Was 0-1, 3.12 (3 ER/8.2 IP) in 11 August appearances. Spent most of the season on the disabled list following "Tommy John" surgery on August 17, 2004...Made rehab appearances with Everett (June 24-28, July 1 and August 13), Inland Empire (July 4-9), San Antonio (July 12) and Tacoma (August 16-September 3)...Recalled from rehabilitation assignment and reinstated from the 60-day disabled list on Sept. 5...Made first appearance since May 9, 2004 on September 10 vs. Baltimore...in 1.0 IP, allowed one run on two hits and two strikeouts...Appeared in seven games...Had a 1.93 ERA on the road (four games) and a 3.38 ERA at home (three games)...Recorded a season-high four strikeouts and 2.0 innings pitched on Sept. 25 at Detroit...Did not allow a run in his final five games of the season, September 18-29...over that span he allowed just two hits in 5.2 innings with one walk and seven strikeouts. Was limited to four spring training games by a strained oblique muscle...knocked around in first three appearances April 7-13 (0-2 in 3G; 2.0IP, 7H, 5R, 4ER, 1BB, 3K)...optioned to Inland Empire April 14 and appeared in a pair of games...transferred to San Antonio April 25 where he appeared in two games...recalled to Seattle May 4...appeared in three games with Seattle May 4-9 before being placed on 15-day DL May 12 with a right elbow sprain...pitched in three games with Tacoma on rehab assignment July 28- Aug. 2 before return of pain in right elbow...underwent "Tommy John" surgery on his right elbow on Aug. 17 in Los Angeles; surgery was performed by Dr. Lewis Yocum...spent remainder of season rehabilitating after surgery. Was 3-0 with a 1.53 ERA (53.0 IP, 9 ER) in 40 games with Seattle...surrendered just two home runs in 53.0 innings of work...stranded 7 of 11 inherited runners...held opponents to a .163 batting average (30x185) while allowing just two home runs...struck out 68, while walking only 12, in 53.0 innings pitched (11.55 K's per 9.0 IP)...allowed runs in just 7 of 40 appearances on the season...began the season with triple-A Tacoma, going 2-1, 3.68 in four starts with Rainiers...recalled April 24, and tossed scoreless 9th inning April 25 vs. Detroit to secure 6-0 win...appeared in three games with Seattle before being optioned to Tacoma May 8; recalled June 16...earned first ML victory July 5 at Texas, tossing a scoreless inning (1.0,0,0,0,1,1)...ejected July 17 at Kansas City after hitting a batter (0.1 IP)...credited with first save of season, second career, July 25 vs. Texas, throwing 4.0 shutout innings (2 H, 3 K)...struck out seven consecutive batters over two games, July 28 vs. Texas (K) and July 30 vs. Detroit (6 K)...finished July 1-0 with a save and a 1.06 ERA (17.0 IP, 2 ER) in 12 games...stranded two inherited runners by striking out Boston's Nomar Garciaparra on three pitches with two outs in the 8th inning, securing Seattle's 3-1 win vs. the Red Sox Aug. 17...named AL Rookie of the Month for August after going 2-0, 1.62 (16.2 IP, 3 ER) in 12 appearances...allowed runs in back-to- back games for the first time all season, Sept. 2 at Tampa Bay (1.2,1,1,1,2,2) and Sept. 5 at Baltimore (1.0,3,1,1,0,1)...tossed 8.2 consecutive scoreless innings to close out the season over his final 10 games. Was selected from double-A San Antonio on May 8, after going 2-3, 2.63 in seven starts for the Missions...made ML debut in relief May 10 vs. Boston and earned first ML save in 7-2 Seattle win with 3.0 scoreless innings (2 H, 1 K)...struck out five of six batters faced in 2.0 scoreless innings May 15 at Toronto...made first ML start May 25 at Baltimore and suffered a 3-2 loss (5.2,4,3,3,3,2)...allowed three runs or fewer in six of eight starts but was 0-2 with four no-decisions in those six starts...was 0-3, 5.10 in eight starts overall (42.1 IP 24 ER), 0-0, 0.00 in two relief appearances (5.0 IP)...Mariners scored a total of 11 runs in his eight starts while he was in the game...was placed on the DL July 10 with a strained right shoulder...reinstated from the DL and optioned to San Antonio Aug. 2... finished 2-3, 2.31 in 10 games, eight starts overall with San Antonio...was 1-1, 2.60 in three playoff starts with San Antonio, including striking out 14 batters in a 4-1 win vs. Tulsa as San Antonio clinched Texas League championship (7.0,2,1,1,2,14). Split between San Bernardino and San Antonio, finishing with an overall record of 8-5 with a 2.82 ERA in 23 starts...held opponents to a .174 batting average (83x476)...was on the disabled list April 25-May 6 with a head contusion...allowed one run on 3 hits in complete game effort June 7 at Lancaster...tossed complete game shutout in next start, June 12 vs. Lake Elsinore, allowing 2 hits while walking one and striking out 9...struck out 11 in 6.0 innings June 21 vs. Lancaster...finished June 4-0 with a 0.99 ERA (36.1 IP, 4 ER) in 5 starts...promoted to San Antonio June 28, and tossed 7.0 shutout innings while walking none and striking out 9 batters vs. Shreveport July 1...placed on the disabled list with a hip flexor July 4-12...finished July 2-0 with a 2.35 ERA in 5 starts, holding opponents to a .176 average...lost final start of season, August 13 vs. Tulsa, allowing 2 runs in 7.2 innings pitched...went 3-3 with a 3.76 ERA in 12 relief appearances with Escogido in the Dominican Winter League. His 2.87 ERA was third-best in the Mariners organization and seventh in the Midwest League...surrendered just one home run for every 167 batters faced...began season on the DL with a right elbow sprain and was reinstated May 5...allowed one run over his first three starts (17.0 IP) of the season...tossed seven innings, allowing one run on two hits to earn the win on June 18 vs. Michigan...played winter ball with Escogido in the Dominican League. Converted to pitcher with Everett...finished 2nd in league in ERA and strikeouts and 3rd in walks...named Northwest League Pitcher of the Week for July 5-11 after going 2-0, 0.00 in two starts (11.0 IP, 3 H, 0 R, 6 BB, 18 K)...recorded 12 strikeouts in six scoreless innings in a 4-0 win July 10 vs. Portland (1 H, 4 BB). In his fi nal season as a position player, hit .167 (18-for-108) in 32 games with the AZL Mariners. Made his professional debut with the AZL Mariners, batting .269 (32-for-119) with 12RBI in 38 games (21 games at 1B, 17 in the OF). October 20, 2016 RHP Rafael Soriano assigned to Tigres del Licey. February 28, 2016 Toronto Blue Jays signed free agent RHP Rafael Soriano to a minor league contract and invited him to spring training. February 28, 2016 RHP Rafael Soriano assigned to Buffalo Bisons. 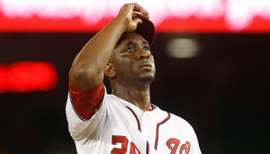 January 30, 2016 RHP Rafael Soriano assigned to Dominican Republic. October 15, 2015 RHP Rafael Soriano assigned to Leones del Escogido. September 4, 2015 Chicago Cubs released RHP Rafael Soriano. September 1, 2015 Chicago Cubs designated RHP Rafael Soriano for assignment. August 26, 2015 Chicago Cubs sent RHP Rafael Soriano on a rehab assignment to Iowa Cubs. August 5, 2015 Chicago Cubs placed RHP Rafael Soriano on the 15-day disabled list retroactive to August 4, 2015. Right shoulder inflammation. July 20, 2015 Chicago Cubs selected the contract of RHP Rafael Soriano from Iowa Cubs. July 16, 2015 RHP Rafael Soriano assigned to Iowa Cubs from Tennessee Smokies. July 6, 2015 RHP Rafael Soriano assigned to Tennessee Smokies. June 9, 2015 Chicago Cubs signed free agent RHP Rafael Soriano to a minor league contract. 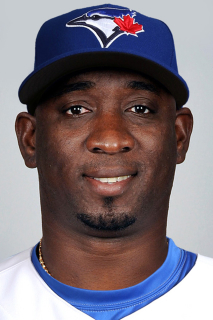 October 31, 2014 RHP Rafael Soriano elected free agency. 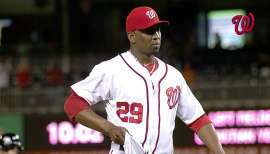 January 17, 2013 Washington Nationals signed free agent RHP Rafael Soriano. 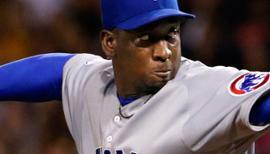 November 3, 2012 RHP Rafael Soriano elected free agency. July 29, 2011 New York Yankees activated RHP Rafael Soriano from the 60-day disabled list. July 24, 2011 sent RHP Rafael Soriano on a rehab assignment to Scranton/Wilkes-Barre Yankees. July 19, 2011 sent RHP Rafael Soriano on a rehab assignment to Tampa Yankees. June 15, 2011 New York Yankees transferred RHP Rafael Soriano from the 15-day disabled list to the 60-day disabled list. May 17, 2011 New York Yankees placed RHP Rafael Soriano on the 15-day disabled list retroactive to May 14, 2011. Right elbow inflammation. January 18, 2011 New York Yankees signed free agent RHP Rafael Soriano. November 7, 2010 RHP Rafael Soriano elected free agency. December 7, 2009 Rafael Soriano reinstated to Atlanta Braves. November 6, 2008 RHP Rafael Soriano elected free agency.